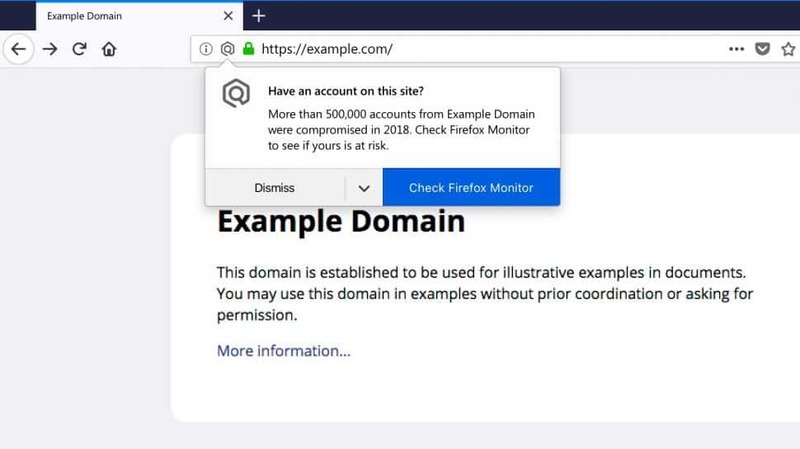 Firefox Monitor Notifications, as it’s known, will alert a user if a website they are visiting has experienced a data breach and the number of accounts compromised. It can even provide data on whether the user’s details have been compromised if they are an account user of a particular site. The notification can be turned off if a user wishes. The feature is available now as part of Firefox Quantum, and will be added to the main Firefox browser within the next few weeks. Firefox Monitor Notifications is powered from data collected by the Have I Been Pwned website (previously mentioned in this blog) which has also been turned into Firefox Monitor, a way of checking if your email address has been involved in a data breach. The announcement is yet another interesting move from the Mozilla team in positioning Firefox as the secure browser of choice. While the default search engine is powered by Google (but can be changed by the user) Firefox is just a browser. It’s therefore not trying to get you to sign up to other features such as email, document creation, calendars and so on. Should security be of concern for your organisation then Firefox may be the way to go. Coupled with effective anti-virus and anti-ransomware solution, it might just be the solution to keeping your staff more secure when using the internet.